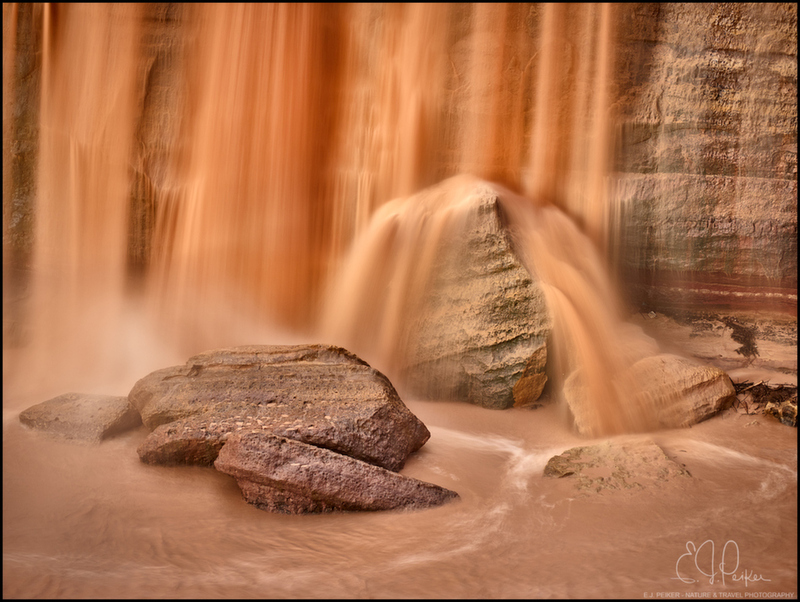 I spent some time with the new GF 100-200 Fujinon lens picking details out of the seasonal Great Falls fed by snow melt running through the desert resulting in the reddish brown color in sunlight. Very clever and beautiful photo, E.J. I know its falling - but the 'redhead' really seems to be rising! Beautifully done. Nice composition - the lines in the falling water compliment the rock lines, same with color. Seemed like sand falling at first glance....We do see her - cool. I really like the motion blur in the water and the beautiful earth tone color palette. Loving your med format photos E.J. Beautiful work, EJ. I also thought it was sand falling at first glimplse. That is very cool and quite different from the norm. Very nice! Good job isolating an independent scene from the larger landscape. Beautiful composition with a pleasing color harmony.